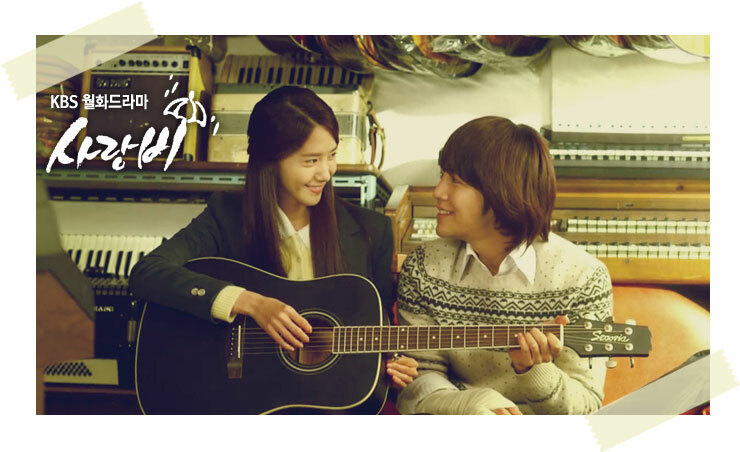 KBS 2TV Monday and Tuesday drama series Love Rain starring Han Jang Geun Suk and Yoona has had its story background switched to year 2012, but according to statistics from AGB Nielson on April 10th, 2012, the episode 5 of Love Rain broadcast on April 9th, 2012 achieved the rating of 5.4%, only increased by 0.1% from previous episode, the result is still unsatisfactory. The drama has been telling the pure love story of Kim Yoon Hee (Yoona) and Seo In Hwa (Jang Geun Suk) in the 1970s in the first 4 episodes. 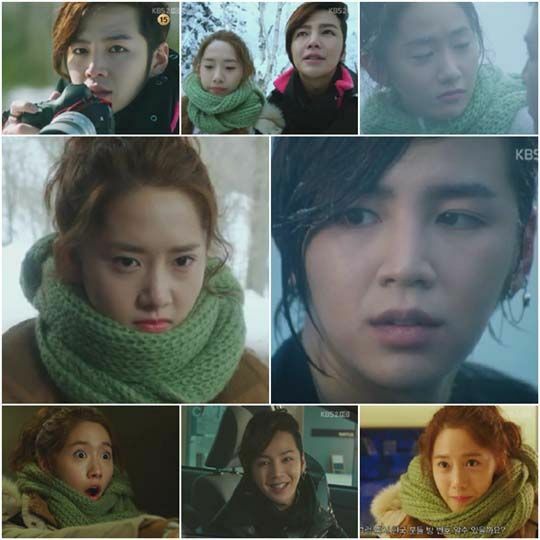 Beginning the episode 5, the scenes are switched to present year of 2012, depicting the encounter of Seo Joon (Jang Geun Suk) and Jung Ha Na (Yoona). Jang Geun Suk transforms from innocent youth of 1970s to levity photography while Yoona is no longer Kim Yoon Hee who only dare to love but not telling it, but transforms into Jung Ha Na who would say whatever she wishes. Previously, the production team revealed that from episode 5, apart from major change on the roles of Jang Geun Suk and Yoona, the atmosphere of the whole drama is also making the adjustment. It’s no longer the atmosphere of ‘melancholy.’ Although the hugging scene by Jang Geun Suk and Yoona is adding highlight for the TV series, but the act 2 of Love Rain is still not recognized by the audience. The style of Love Rain is absolutely in line with the style of director Yoon Suk Ho, and even superior to his other dramas. Jang Geun Suk and Yoona are artistically beautiful as if walking out of the picture, but their love is not resonating with the audience. Comparing with the previous 4 episodes, the progress of story in episode 5 has markedly changed. But the drama lost the distinctive style of director Yoon Suk Ho, submerged into the general TV series, somewhat disappointing the audience. The setting of characters for bad temper photographer Seo Joon and cheerful female studnet Jung Ha Na has also plunged into stereotype. Comparing to Seo In Ha and Kim Yoon Hee of 1970s who are shy to confess, the Jung Ha Na and Seo Joon of current era dare to love and hate. However, whether it is the personality setting of the two persons or the depiction of their initial encounter, are nothing new. The partnering of reckless male and cheerful woman can be seen too many films, even if the location of their encounter happened in overseas, but it still cannot aroused the interest of the audience. In addition, the ‘coincidence’ of going into the empty hotel room in order to find the phone, and having to go to hot spring together due to the car ran out of gas, can also be seen in other TV series. Although the overall atmosphere of the Love Rain has changed, but if such a dull plot continues, no matter how passionate the love of Jang Geun Suk and Yoona is, it is difficult to attract the attention of the audience.